Colorado Real Estate Attorney/Lawyer | Expert Witness | Kent Jay Levine, P.C. Since 1973, Kent Jay Levine has been serving the needs of clients in the Denver metro area of Colorado. Kent started his practice at Levine, Pitler & Westerfeld, P.C. which later became Levine and Pitler, P.C. Also in 1973 he became a Professor at Red Rocks Community College teaching in the areas of real estate and business law. From 1985 to 1990 Mr. Levine conducted his law practice as a sole practitioner and was “of counsel” from 1985-1987 to Levine and Pitler, P.C. 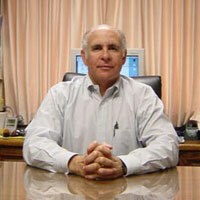 In 1990 he formed Kent Jay Levine, P.C. He has been its President and Director since its formation. Throughout his time practicing, he has always held his clients concerns in the highest respect representing them and their needs to the best of his abilities. Mr. Levine has been practicing law in excess of 40 years. His practice focuses on real estate law, real estate contracts, real estate brokerage law, foreclosures and related business and real estate areas. Due to his extensive experience in representation of real estate brokers and brokerage companies, as well as holding a Colorado Real Estate Broker’s License since 1974, he is able to more quickly assess problem areas and give his clients guidance to better structure a transaction or give direction and alternatives to seek a resolution beneficial to the client. Mr. Levine has worked extensively in residential, new homes, commercial, industrial and vacant land transactions. Kent has served on the Standard and Approved Forms Committee to the Colorado Real Estate Commission from its inception in 1978. He continues to serve as the Chairman of the Forms Committee. Mr. Levine frequently consults and has published in the area of Foreclosures. He is fully committed to the delivery of quality legal services at a reasonable cost.